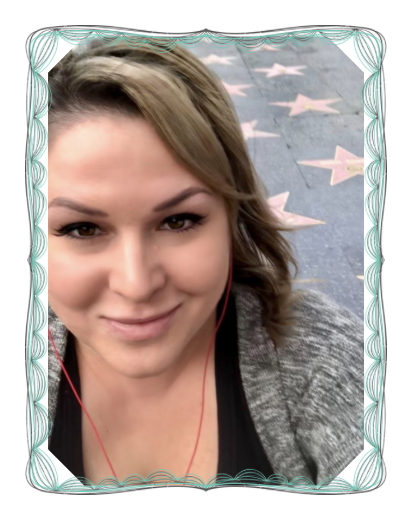 Danny and I have been annual visitors of Mexico for over a decade, but with the exception of Tijuana, we’ve generally stuck with the touristy resort towns like Cabo, Puerto Vallarta, and Tulum. I’ll admit, I was afraid of Mexico City and seeing murdered humans on the front pages of newspapers upon arrival was not helpful. The truth is, even though Mexico’s often tarnished reputation is based on some fact, you can still safely travel here. Mexico City, also known as "Ciudad de México” or CDMX, is the capital of Mexico and the most populous city in North America with over 21 million residents. Looking out the airplane window, it looks like it goes on forever. The city was originally built on Lake Texcoco by the Aztecs, which explains why Mexico City is sinking — something you can actually observe firsthand. Look carefully at the foundation of the Catedral Metropolitana or roll a coin down the floors of the Basilica of Our Lady of Guadalupe and you’ll see what I’m talking about. One of the first places on my itinerary was the famous restaurant El Cardenal. We showed up at opening on a busy Sunday morning at the original location by the Zócalo, the main square and world’s 2nd largest public plaza. We were told it would be a 30 minute wait, which in reality was an hour and a half. Danny wanted to kill me, but even he ultimately agreed it was worth the wait. El Cardenal is truly a special place. It was filled with cheerful local families enjoying each other’s company, live music, and classy, attentive service. The highlight was the table-side hot chocolate made with milk from the restaurant’s own cows. We also dug the fresh orange juice and pastries. The food was fancy traditional Mexican like chilaquiles, mole, and huevos rancheros. We were the only gringos, but what left the staff baffled by us was that we ate fast and didn’t linger. Most savor this environment for hours. This seemed like an absolute must, if not just to say, “Remember that time we went to a wrestling match in Mexico?” And this is how we ended up at Arena México. We purchased our front row tickets at the door for about $14 each. If you expect drunk, rowdy wrestling fans, it actually wasn’t like that at all. They do sell beer, but at least at the 5pm Sunday show, it was more of a family affair. Children attended dressed in luchador masks and capes. Performers even picked friendly fights with some of the older kids, who were not shy about heckling and yelling back. There was even a child in the ring. He was mostly a cornerman with an awesome costume, but they threw a play to him once or twice. It was a bizarre sight to see. The streets outside the arena were lined with stalls selling masks, so you know we had to. Danny describes this particular evening as one the best of his life. Cats and murals and skulls, oh my! 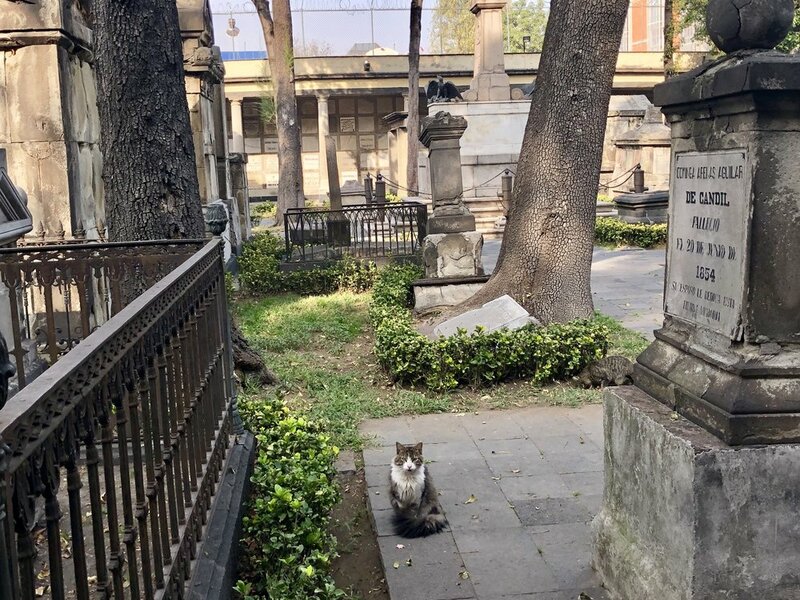 We always look for the cats in any city and we found a couple of great cat spots in CDMX. Creepy, I know, but a “good” cemetery is also something I look for. The Panteón de San Fernando covered all bases. It was actually closed during our visit, so I can’t tell you much about the cemetery itself, but the cats were still there, wandering in and out of the gates. They weren’t really eager for affection, but more than happy to accept treats. The Palacio Nacional is another great spot for cats, as well as art and history. Admission is free. Trade your driver’s license in exchange for a visitor’s badge (and re-exchange on the way out) and the place is practically yours. Even on a Sunday, when the crowds just outside in the Zócalo were insane, it wasn’t crowded and was a peaceful refuge from the hustle on the other side of the gates. We hung here for an entire afternoon and marveled at Diego Rivera’s stunning murals. These murals illustrate Mexican history for everyone, including those who may not have been able to have been able to read about it. On the south wall of the massive The History of Mexico mural, Rivera snuck in an image of his wife, Frida Kahlo, as a socialist teacher. I was intrigued by the nearby Templo Mayor, which is the ruins of the Great Pyramid of Tenochtitlán. This was the center of the Aztec world and is dedicated to both the god of war and the god of rain. 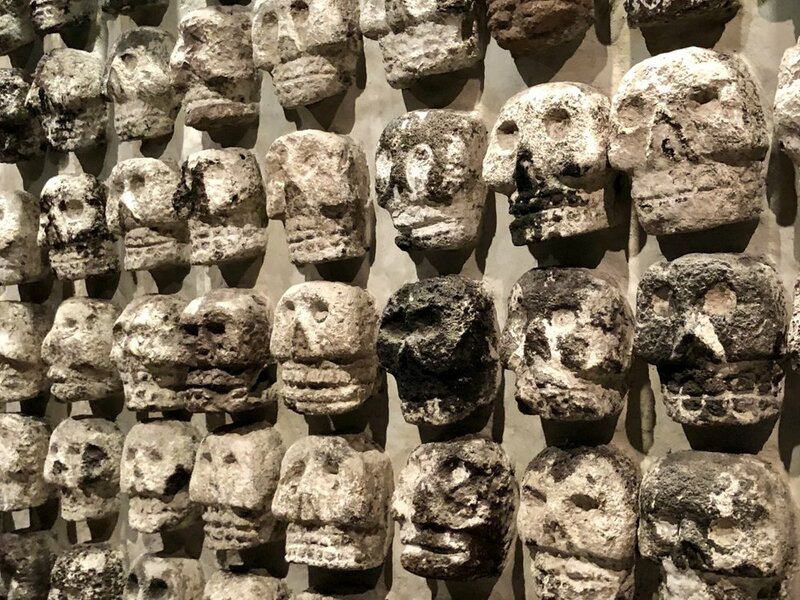 I was determined to see the rack of skulls that I’d read about on TripAdvisor. Maybe I was a little too excited, as Danny quietly reminded me that those skulls once belonged to humans with families who celebrated birthdays. It was a necessary buzzkill. One afternoon while strolling aimlessly through Chapultepec Park, we encountered a small group of uniquely dressed and mysterious men hoisting themselves up, waaaay up, at the top of a very tall pole. 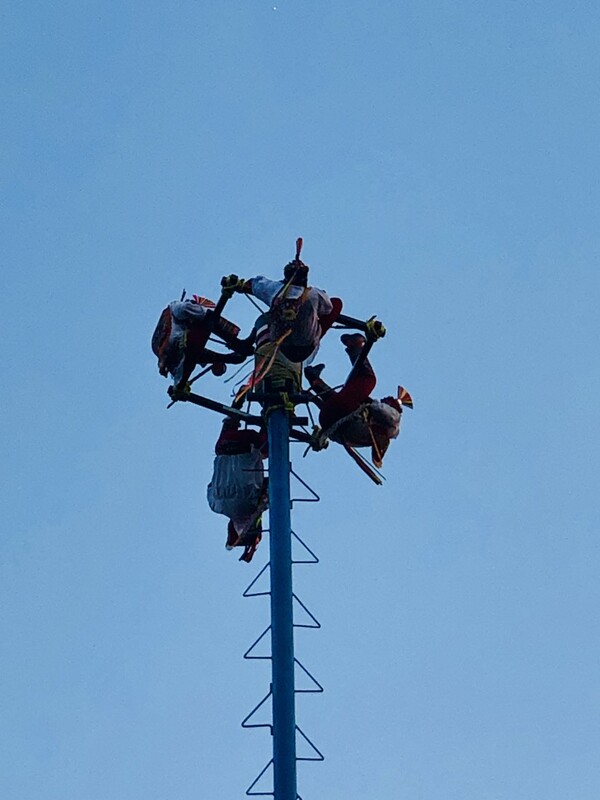 Danza de los Voladores translates to “Dance of the Flyers” and it looks absolutely terrifying. 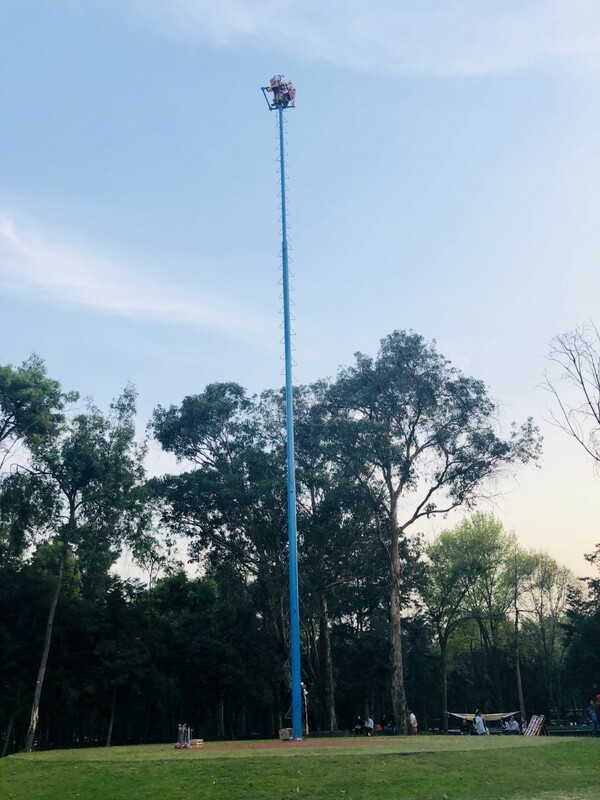 It’s an ancient Mesoamerican drought prevention ritual which involves these men tying ropes around the top of the pole, then dropping backward to launch into a graceful and frightening decent towards the ground. One man played music while flying through the air; another was completely upside down. I think I held my breath the entire time. I did not take into account that Mexico City is located 7,382 feet above sea level when I made plans for us to hike the pyramids at Teotihuacan. Danny is a 60 year old ex chain-smoker and I’m afraid of heights. This was really pushing it. 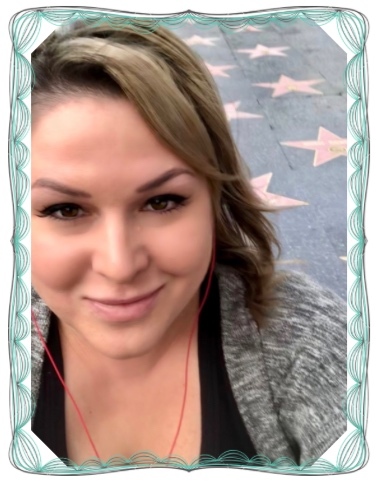 I booked a private tour via México Tour Freelance for $260 which included a private car with driver, a wonderful tour guide named Carlos, and visits to the Shrine of Guadalupe and the archaeological ruins of Teotihuacan. The website says 6 hours, but it’s more like 8, not that I’m complaining. I am complaining about the hundreds of steep, uneven stairs, most with no handrails because apparently they didn’t have personal injury lawyers back in 100 BCE. 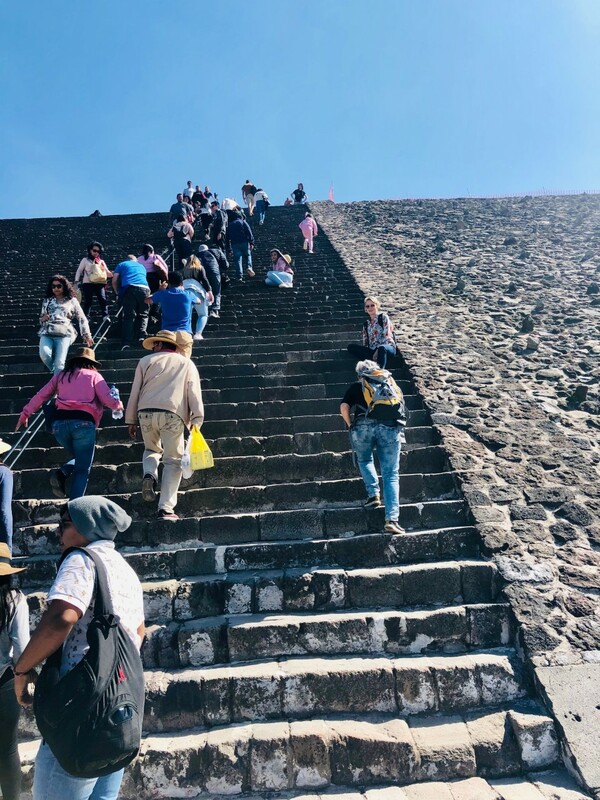 All in all, climbing the Pyramid of the Moon and the Pyramid of the Sun and walking down the Avenue of the Dead was a fascinating way to spend an otherwise average Monday. 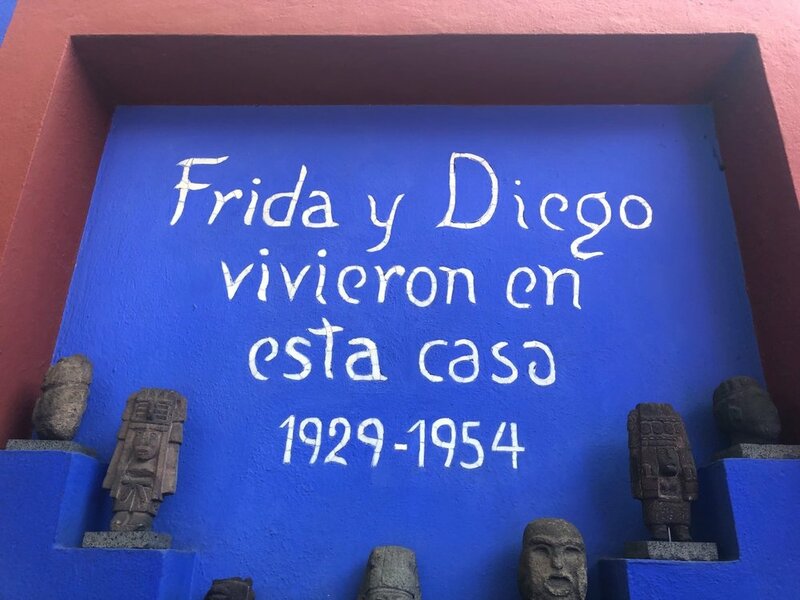 La Casa Azul, the lifelong home of Frida Kahlo and now museum, is located in the artsy Coyuacan area. I felt a special connection to her visiting her space. I idled in her kitchen where she had perfected husband Diego Rivera’s favorite dish, which his ex-wife taught her to make. I walked through her studio, where her painting supplies and wheelchair are still present. I lingered in her “day bedroom” where she passed at the age of 47. In 2004, hundreds of Frida’s personal items were discovered locked away in a small bathroom. These items are compelling and insightful. She didn’t much like her looks, but her makeup revealed that she did like and actually enhanced her famous unibrow. Her outfits are fascinating. Many looked like they were straight out of Edward Scissorhands, but they served as much function as fashion. Corsets and other medical supplies depict a life riddled with pain stemming from polio as well as a damaged spine resulting from a horrific trolley accident. Of course, we’ve always been aware of Frida Kahlo, but left her home as newly enthusiastic fans. It’s beautiful, sophisticated, cosmopolitan. And I didn’t even talk about the food! If you plan to visit, please feel free to contact me — I’ll tell you the best spots for sushi, tacos al pastor, and gorditas that have absolutely nothing in common with anything served at Taco Bell. Join me next week for one of the weirder and more interesting adventures so far. Maybe you’ve seen it on Ghost Adventures or No Reservations — The Island of the Dolls! !